We need your help to keep changing lives. Our members are genuinely in need of support to improve their situation, especially in a time of recession and Government spending cuts. My Life My Choice not only gives people with learning disabilities a voice to advocate for things such as better education, access to transport, and protection of benefits, but also provides work opportunities, projects to build skills/confidence, and a place to belong and to be proud of. You can make a one off donation or set up a monthly donation, and join a growing community of regular givers whose committed generosity enables us to plan and budget as effectively as possible. There are also other great ways you can help support our work. 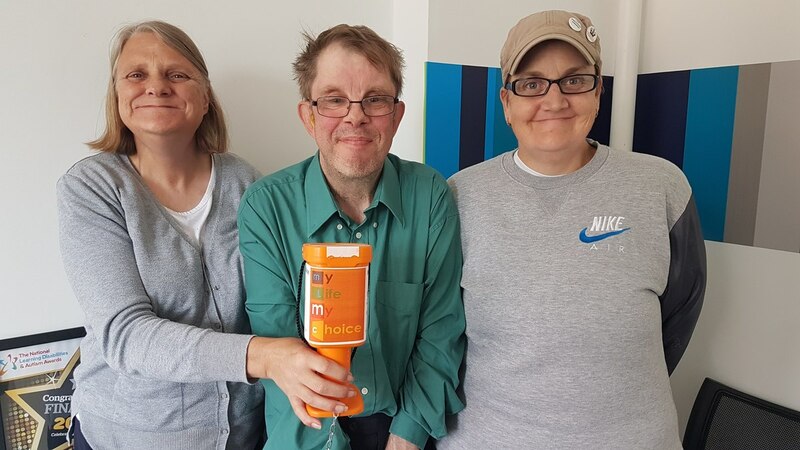 Leaving a gift in your will won’t cost you anything during your lifetime, but will mean that people with learning disabilities will continue to have their voices heard after you are gone; and fundraising is a great way to raise money for My Life My Choice whilst doing something fun or challenging for yourself.